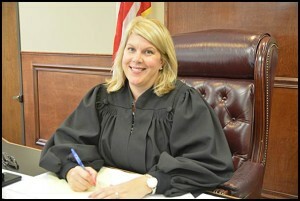 31st District Court Judge Alexis Krot will face a challenger in this year’s election. As expected the open races for state representative and state senator for Hamtramck is crowded. In the 4th District State Representative race, in which incumbent Rose Mary Robinson is being termed out, 14 Democratic challengers have filed and one Republican candidate is also on board. Robinson’s son, Isaac, is seeking to follow in her footsteps and keep the position in the family. There are five Hamtramck residents running for the office, including City Councilmember Saad Almasmari, who is still in his first term on council. Councilmember Anam Miah is also seeking to climb up the political ladder by seeking to become the new state senator in the 2nd District, which includes Hamtramck. In the state representative race the following residents are running: MD Rabbi Alam, Justin Jessop, Michele Oberholtzer and Syed Rob. Other Democratic candidates include: Derek Boston, Christopher Collins, Matt Friedrichs, Myya Jones, Ernest Little, Diane McMillan, Jeffery Nolish and Rico Razo. A few years ago Alam made national news when he falsely claimed that no Jews died in the 9/11 attacks. Critics accused Alam of being anti-Semitic. In the state senator race, two Republican candidates, both from the Grosse Pointe area, will square off in the August Primary. Also in the Aug. 7 Primary will be 12 Democratic candidates. The other Hamtramck resident in the election, besides Councilmember Miah, is Abraham Aiyash. The other candidates include: Brian Banks, Tommy Campbell, George Cushingberry, Jr., Lawrence Ganna, Adam Hollier, LaMar Lemmons, John Olumba, William Phillips and Regina Williams. The seat is currently vacant. Bert Johnson was serving in the position until he was convicted of a felony for hiring a ghost employee and paying that employee a salary to cover a debt he owed her. His former aide is Adam Hollier, who is seeking the job. In both races the Democratic challengers in the November election are virtually guaranteed to win. Also facing election for the first time is Hamtramck 31st District Court Judge Alexis Krot, who will face a challenger, John Fitzgerald Gorniak, an attorney who recently moved into the city. Krot was appointed to the position several months ago by Gov. Rick Snyder after Judge Paul Paruk resigned. Krot is the first female to run for the judgeship in Hamtramck. Adam Hollier, an aide to former State Senator Bert Johnson, is running for the seat as well. John F. Gorniak is a prominent criminal defense attorney with over 23 years of legal experience under his belt who practices largely in Macomb County, where he has handled high-profile cases. He has been a prolific donor to various political candidates in that county. Alexis Krot is the daughter of a Hamtramck businessman and she was a young lawyer whom Governor Snyder – a GOP leader – picked to replace the retiring Hon. Paul Paruk. Ms. Krot is married to a police officer and was formerly employed by the Allen Bros. law firm before her bench appointment by Governor Snyder. The people of Hamtramck should support John Gorniak for the District Court judge’s seat due to his experience in criminal law and his commitment to equal justice under law. Judge Krot’s family’s insider influence within Hamtramck politics have been felt for decades. Her appointment by Governor Snyder at a relatively young age speaks volumes about the impact of the Krot name in politics. The remaining Democratic candidates have no campaign website or Facebook presence that I could locate. Gorniak’s grandparents and parents were Polish immigrants seeking refuge from political suppression under the Nazi regime. Gorniak advocates for equal social and legal justice for all immigrants. Gorniak advocates he will implement drug and Veteran Courts as alternatives to incarceration.